A familiar face will soon no longer be at the door of Rio’s nightclub in Leamington town centre on its busiest nights. Chris Donnachie, the owner of the Bedford Street club known for its mirrored dance floors, turns 64 this weekend and is in the process of selling the business and retiring and is looking forward to putting his feet up over the Christmas period for the first time in almost four decades. With 37 years of running bars and clubs in Leamington under his belt, Mr Donnachie retires as the town centre’s longest serving known licensee. And Mr Donnachie, says he does so with a heavy heart. He said: “I’ve done what I need to do but it’s not that I want to retire, I still like working on the front door and I find now I tend to talk my way out of situations more than I used to. “I’ve never regretted doing what I do, it’s the fun of coming into work and not knowing how that night is going to be. A Cockney born and bred, Mr Donnachie joined the London Metropolitan Police as a cadet at 15 and was a police constable in the 1960s. Working in security, mainly abroad,he later ran pubs in London before he came to Leamington with his now ex-wife and was the landlord at the Old Mill in Baginton. He later owned a bar called Cassis in Augusta Place where he also worked on the door. He said he was the first licensee to bring CCTV and a video juke box to Leamington. His previous careers stood him in good stead when he bought the lease for the premises which was then Triggers and is now Rio’s for £64,000 in 1984. 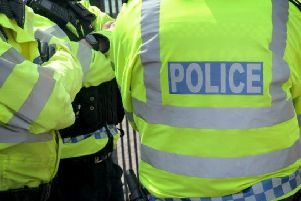 At the time the business was on the verge of being shut down by Warwick District Council, having had 152 incidents in which the police were called out in the space of 12 months. But Mr Donnachie and a team of doormen, whom he has described as ‘legends’ in the town, reduced the number of incidents to just eight in a year and he later bought the long-term lease for the premises for £100,000. Mr Donnachie said that in its heyday, when the majority of Leamington and Coventry’s main manufacturers were still open and people had more disposable income, Rio’s would have queues of 800 people waiting to get it. But it has also survived two recessions where other bars and clubs in the town have fallen by the wayside.